偏愛的収集記－暢気・気儘な箱々: 音楽　：　La Monte Young ‎– Excerpt From Drift Study / Paris Encore From Poem For Tables, Chairs And Benches, Etc. 音楽　：　La Monte Young ‎– Excerpt From Drift Study / Paris Encore From Poem For Tables, Chairs And Benches, Etc. 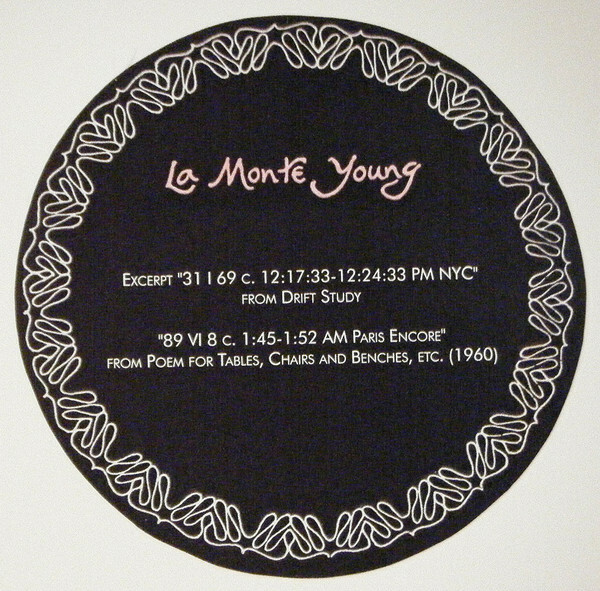 La Monte Young ‎– Excerpt From Drift Study / Paris Encore From Poem For Tables, Chairs And Benches, Etc. White sleeve with a color round sticker at the centre. Limited to 25 copies with Horny catalogue.